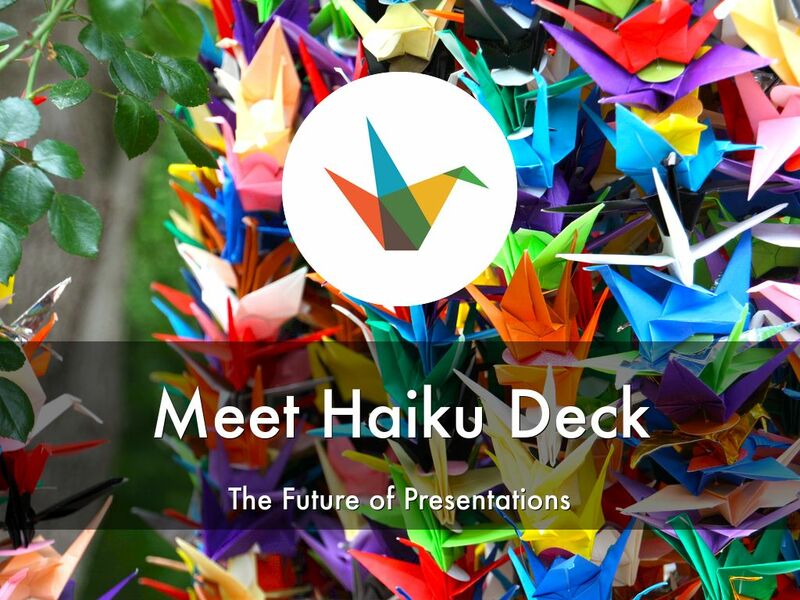 Haiku Deck is the simple new way to create inspired presentations. Haiku Deck launched as a free iPad App in August 2012 and has developed a passionate global following of creative communicators. Haiku Deck is now available on any device with a browser through its Web App. With Haiku Deck, anyone can quickly create stunning, image-rich slideshows. You can easily import your own images or use the built-in keyword image search to tap into millions of free Creative Commons images. 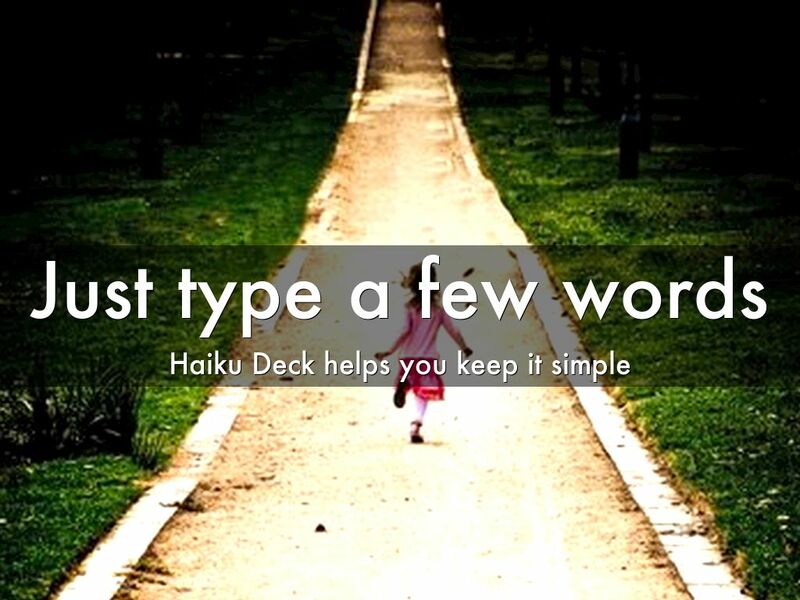 Haiku Decks can be easily emailed or shared via social channels, or embedded in a blog or website. 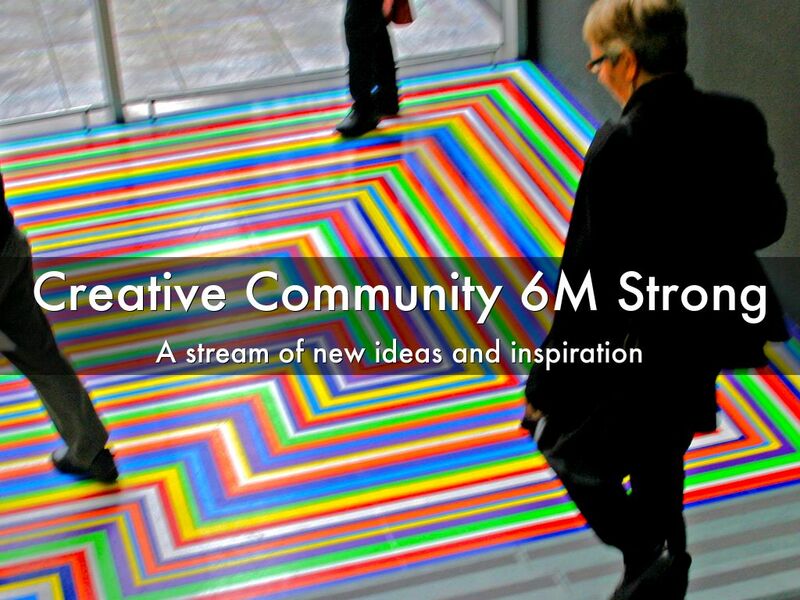 It's a powerful way to communicate ideas, articulate a vision, and share expertise. A step-by-step introduction to Haiku Deck, presentation software that's simple, beautiful, and fun. 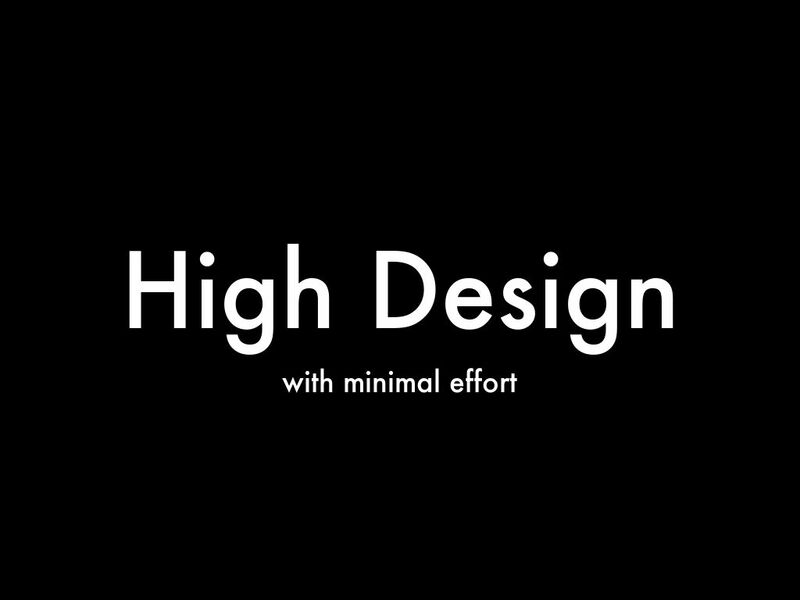 Most presentation experts recommend focusing on a single idea per slide and keeping text to a minimum. Haiku Deck encourages these best practices--the less text you include, the better a slide looks (and the easier it will be to read). The process of simplifying helps clarify your message and prevents the common presentation pitfall of reading dense slide text aloud--a surefire way to lose an audience’s attention. As with the Japanese poetry form that inspired the app’s name, the constraints are designed to unlock creativity and inspire a deeper level of expression. Hands-on: Each Haiku Deck slide accommodates two lines, or a short block, of text. Just start typing to see how the font size adjusts automatically. To create a new slide, click ADD SLIDE at lower right. Hover over a slide to COPY or DELETE it. To change the order, simply drag a slide to the position you’d like. 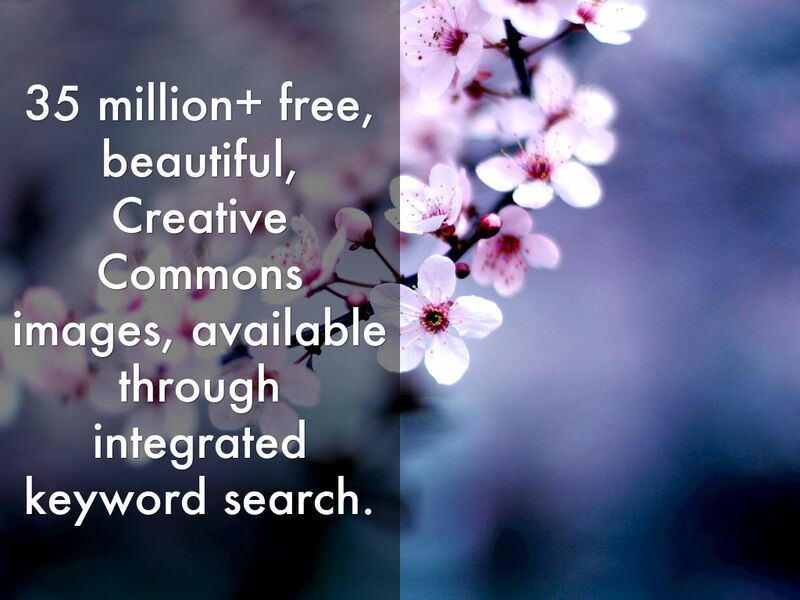 35 million+ free, beautiful, Creative Commons images, available through integrated keyword search. Images capture our attention in a way that text alone cannot, and Haiku Deck’s unique built-in keyword image search puts millions of Creative Commons-licensed images at your fingertips so you can quickly find the perfect backdrop for your words. Sizing, formatting, and attribution are all handled seamlessly, leaving you plenty of time for creative exploration and inspiration. Hands-on: Click the blue Image icon on the left, choose a tag or type a keyword, and explore. To get a sense of breadth, try searching for a landmark, a neighborhood, or a favorite food. You can also search for colors, patterns, or more abstract concepts. In playback mode, click the CC logo in the top left corner to view the photo credit. 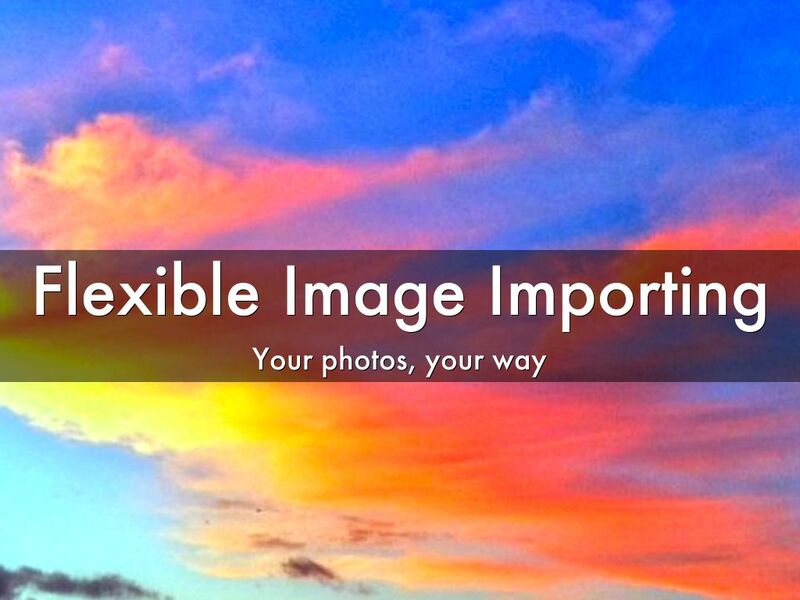 You can also import your own images from your computer or from Facebook, Instagram, Dropbox, Flickr, Google Drive, and other popular services. This approach is useful for showcasing a product or a property listing, illustrating a process, or creating a portfolio. 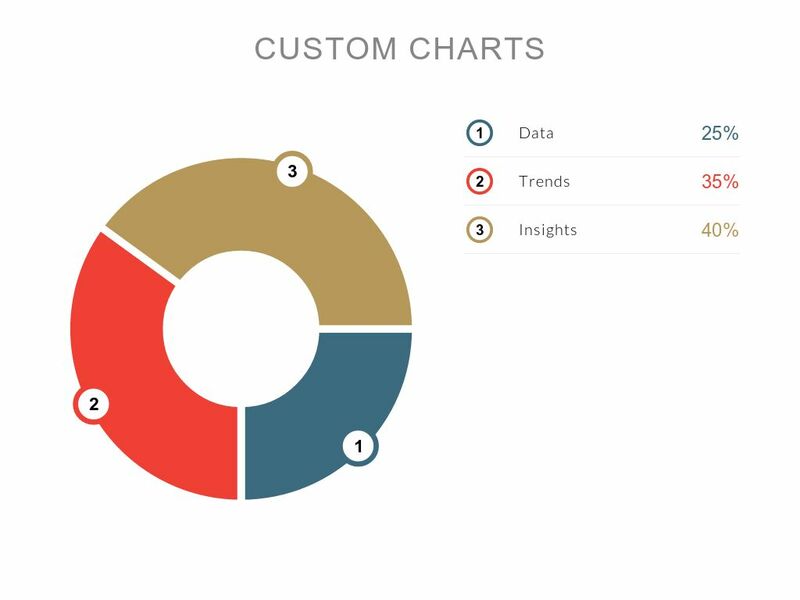 You can also include screenshots of charts, graphs, or other custom graphics. Hands-on: Click the blue Image icon, then MY PICTURES under the orange SEARCH button to connect your account and pull in your favorite images. To crop or adjust placement of your image, look for the controls in the lower right corner of the slide. Most presentation tools don’t make it easy to produce beautiful, attention-grabbing slides for those of us without design skills or a big budget. Haiku Deck makes everyone feel like a designer with 20 stunning themes that offer a cohesive, polished look with minimal formatting time. Instead of wrestling with master templates, sizing options, and endless font variations, you can choose a look for your deck with a single click, and spend more time bringing your message to life. Hands-on: Click FONTS/THEMES (top center). To get a sense of the stylistic range, try Picaresque, Cinematic, and Zissou. You can also toggle the image filter here. Haiku Deck's new logo slides make it easy to showcase your brand identity in a clean, minimalist style. Hands-on: Click the orange Text icon on the left, then select the logo slide type in the lower left corner. Click the camera in the circle to upload your logo (the optimal size is 600x600). Next, click the blue Image icon to set the slide background. 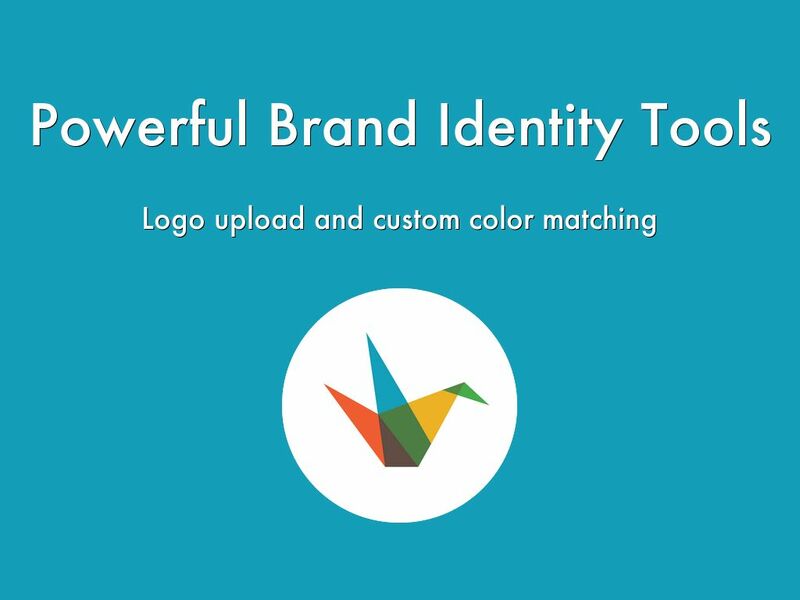 You can either search for a photograph or choose a solid color background, selecting a hue from the color wheel or specifying a precise hex code if you prefer. You can also explore placement options by clicking the green Layout icon on the left. In Haiku Deck you can quickly create flawlessly beautiful pie charts, bar graphs, and stat charts, with no need for linked spreadsheets or complicated formulas. Hands-on: Click the blue Image icon, then the Chart icon. Select the chart type you’d like, then click and type to add or edit data points and labels. Click + to add a new field. 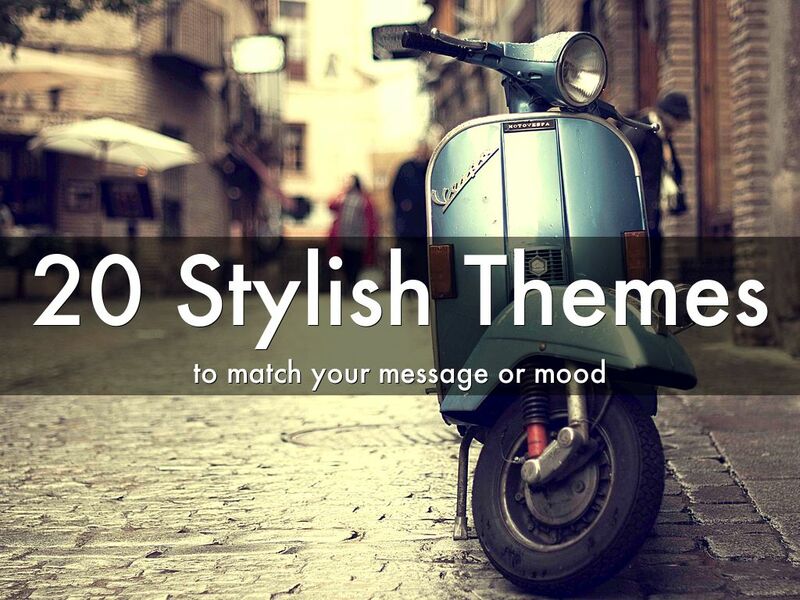 Each Haiku Deck theme applies a coordinating chart color palette for a beautifully cohesive look. 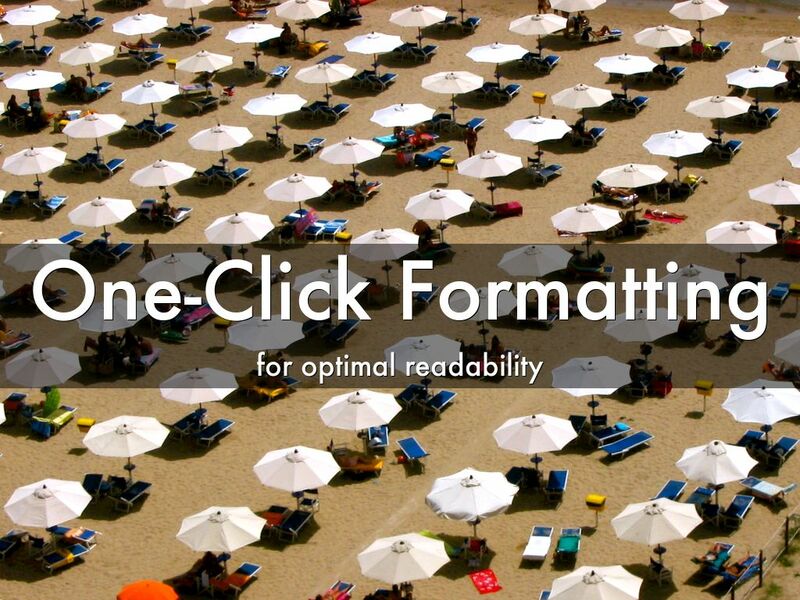 Another secret to stunning presentations is to keep formatting consistent. Haiku Deck offers dozens of high-impact layout options for optimal text placement and readability. In keeping with the spirit of the app, there’s flexibility to make each slide look sharp without too many choices. As with the themes, each layout is applied with a click to keep the focus on developing your story instead of fussing with formatting. Hands-on: Click the green Layout icon on the left and find the text placement option that works best with your image. You can either go for consistency, using the same layout option for your entire deck, or take a more dynamic approach, tailoring the layout to each individual slide. You can also add (or remove) a shaded background behind your slide text to improve readability. Click the blue Image icon, then adjust the TEXT BACKGROUND toggle. In short, we hear from our users that Haiku Deck makes them feel more creative, more confident, and more excited about their material. It’s not uncommon for people to think that Haiku Deck slides were professionally designed, and many people are blown away at how quickly and easily they can create something that looks amazing. Hands-on: To use a solid-color background like this one, click the blue Image icon, then the diagonally divided rectangle to select your preferred color. We like to work solid-color slides into the mix to make words stand out, or to break up and signal sections of a deck, creating a sense of structure and rhythm. One common mistake that many people make is to create slides that basically replicate what they’re going to say, so they can work as a handout or a detailed record of what was presented. Garr Reynolds of Presentation Zen fame calls this a slideument -- basically a messy mashup between slides and a document that doesn’t serve either purpose very effectively. 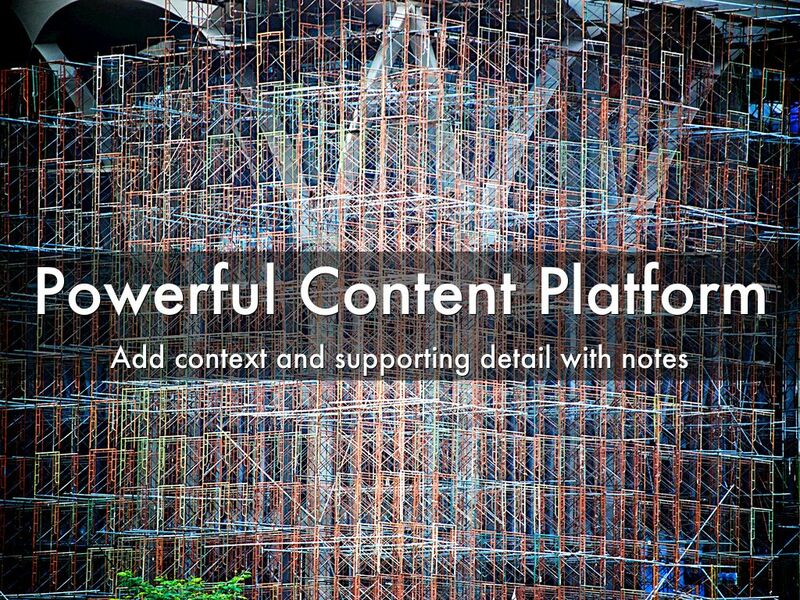 Most experts recommend creating two separate versions of the content, and Haiku Deck makes this easy. With Public Notes you can add key talking points, supporting information, and even links to accompany your slides online, or to create a crisp PDF handout (like this one). We think a lot about mobile productivity, and how to encourage flexible creation, viewing, and sharing. Each Haiku Deck you create can be easily accessed from any web-connected smartphone, tablet, or computer. You always control who can view each deck. You can also post your decks to your favorite social sites, email them, or enliven your blog or website with an attention-grabbing slideshow. We believe everyone has amazing stories to share, and we make it easy to set those stories free! Hands-on: Click the SHARE or EXPORT button in the top right corner. In the window that pops up, check your deck title, description, and privacy setting. 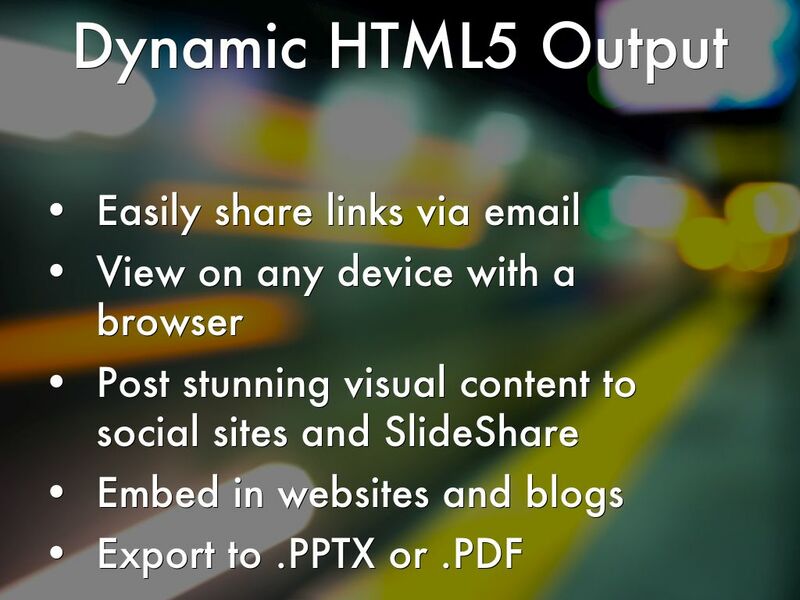 Select a category and choose your desired format -- from Twitter share to .pdf export. We are here to help people not only to become better presenters, but to feel more creative and inspired. Our Featured and Popular Galleries showcase the week’s best decks from a wide range of topics, all hand-picked by our team. Our new presentation template gallery showcases sample decks that users can save to their accounts with one click to quickly create common presentation types such as a startup pitch, a live speech, a webinar, or a visual resume. 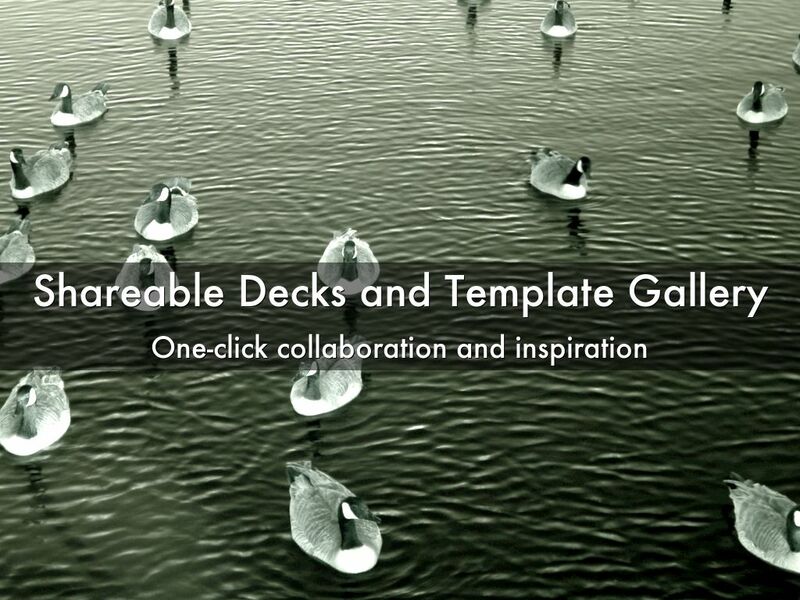 Hands-on: Browse the Presentation Template Gallery at https://www.haikudeck.com/presentation-templates. Hover over any deck and click copy to save it to your account for editing. 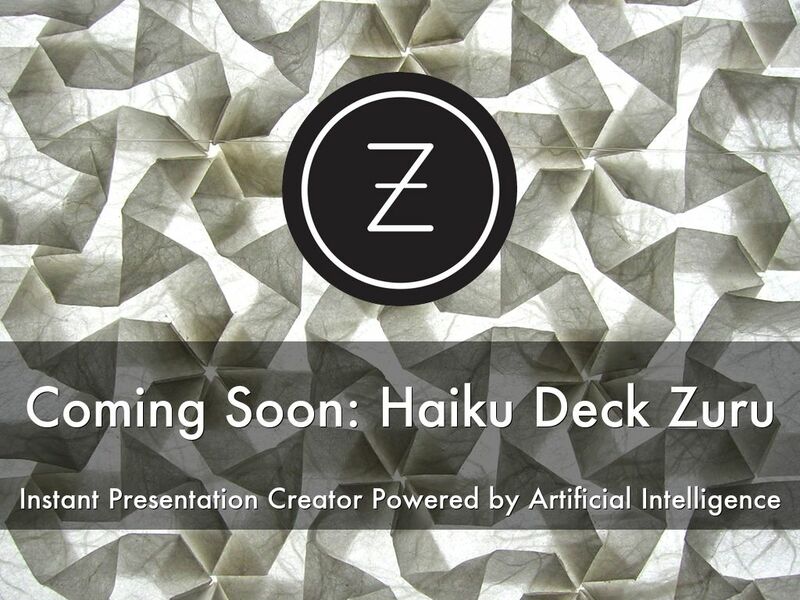 Haiku Deck Zuru further builds on the power of the creative community, using artificial intelligence and machine learning to radically streamline presentation creation. Beginning in late spring 2015, Haiku Deck Zuru users will be able to import an outline or existing presentation from PowerPoint, Keynote, or Evernote to instantly create a beautiful, visual Haiku Deck that’s perfectly optimized for any platform. 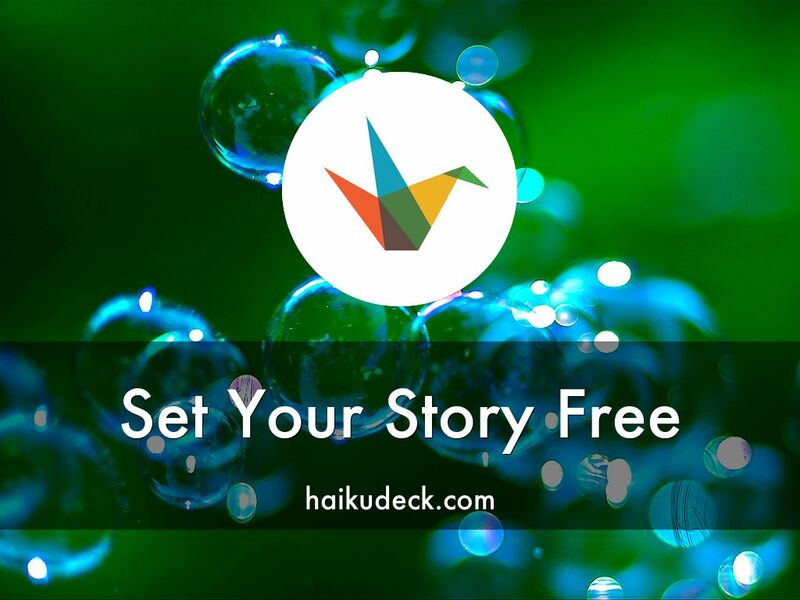 Haiku Deck is more than a presentation tool; it’s a growing global community of creative, inspired communicators. The app has been embraced by everyone from 1st graders to entrepreneurs to the CTO of Australia. Haiku Deck has been used for keynote speeches, TED talks, professional development sessions, and even White House briefings. And if you have a question, need more information, or would like to arrange a personalized briefing or demo, please don’t hesitate to contact Adam Tratt, our co-founder and CEO, at adam@haikudeck.com. 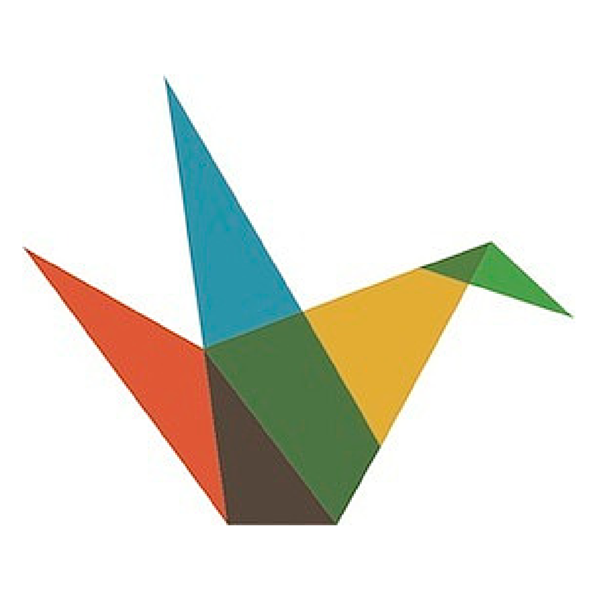 We can't wait to hear your feedback about Haiku Deck.